Not sure how the undead party? This opaque print features the iZombie logo and shows off some fully awesome zombie dance moves. 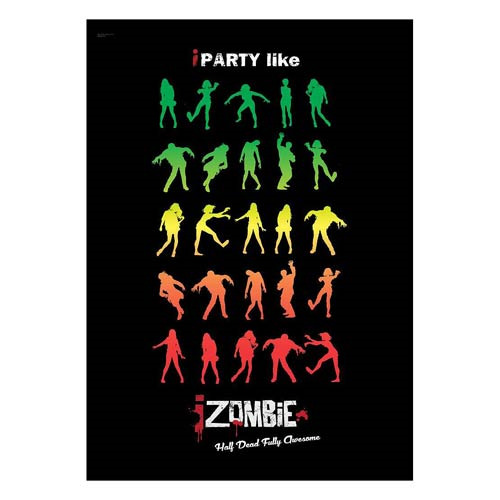 The iZombie iParty MightyPrint Wall Art Print measures about 24-inches wide x 17-inches tall.